Mashpee Commones “before,” in the 1960s. In Mashpee, Massachusetts, on Cape Cod, what was once a 1960s-era strip mall is now one of the country’s original and most famous suburban retrofit projects, with housing and retail rendered in traditional architecture that frames small streets to create a strong pedestrian experience. It all began 40 years ago, when Arnold B. “Buff” Chace moved into a vacant office on the 140-acre property his family owned, where the New Seabury Shopping Center had fallen on hard times. Chace assumed responsibility for liquidating the bankrupt supermarket on the site, and figuring out what to do next. Chace saw an opportunity to fight back against the degradation of Cape Cod’s character since World War II, when development had begun favoring automobiles over walkable landscapes. Working with Doug Storrs, whose background as an environmental planner informed his development mindset, Chace determined to redevelop the site on the basis of what people love most on the Cape: its small-town character and its proximity to the ocean. Chace immersed himself in what was happening around the country that was supportive of his vision. Seaside, Florida, another coastal town, introduced him to the nascent New Urbanism movement and the vocabulary of traditional planning principles. The redevelopment process began in 1986 with a design charrette that helped create community buy-in and led to Mashpee Commons’ master plan. The charrette helped convince the community that walkability would be one of the most important features of the development. One of the ways to achieve this would be to orient building frontage along a gridded network of internal streets, rather than the main roadways, as was originally expected on the basis of then-current zoning. The developers needed to get creative in order to achieve what they wanted within the existing zoning code. For example, standards for streets required wide roadways and large setbacks. Chace and Storr decided to label the proposed new internal roadway network as driveways and alleyways instead, so they could design them to a width that better accommodated pedestrians. They also obtained a Special Permit through the Town of Mashpee’s Zoning Board of Appeals (ZBA), and focused their first efforts on retail development. Chace and Storr were influenced by the 1970s-80s trend of festival marketplaces that featured spaces programmed with various community activities. This type of placemaking helped increase the early popularity of the site. A second Special Permit issued by the Planning Board in 1993 allowed for an addition phase of development, centered around North Market Street. The latest phase of work involves proving more housing choices, something Chace and Storr view as the missing link to creating a true neighborhood. The developers are now in the process of focusing on adding housing targeted to the lower end of the non- subsidized housing market, addressing the need for “missing middle” housing that caters to empty nesters, middle-income workers, and young professionals who are feeding the greater demand for living in walkable areas. To create the plan for future residential areas, the developers are currently working with the community to understand its desires and find the best mechanism to implement the vision. After an almost year-long community engagement process, the developers have proposed a change to local zoning regulations to add form-based code that would govern the development area. If approved at Town Meeting, (which requires a 2/3 affirmative vote) the Planning Board would administer the code. The developers are also entertaining the idea of becoming a master developer to set up the conditions to allow other developers to carry out the vision. This could allow future development to occur more quickly than it has to date. In the more than 30 years since the original charrette, there have been numerous barriers to overcome. Back at the beginning, Mashpee didn’t even have a town planner, and, as noted above, the zoning does not allow for a traditional neighborhood development. Another issue has been the increased density and concerns related to the residential development. A second charrette in 2002 made numerous changes to the street network and the way the residential areas knit in with the commercial portions. The Cape Cod Commission, the regional planning agency for the Cape, has been visionary in supporting Mashpee Commons. Created in 1990, the commission has authority to plan and enforce the development of regional plans, policies, regulations, and infrastructure as a means to manage growth on Cape Cod. There have been a series of mitigations required for a development of this size, including traffic mitigation. To date, the commission and the developers have been able to strike a balance between mitigation and ensuring the project is financially feasible. Wastewater treatment is a major issue in Mashpee. Many Cape Cod communities do not have municipal sewer systems and instead rely on individual septic systems. This has led to environmental issues related to the buildup of nitrogen in bays and estuaries. The developers agreed to install a large wastewater treatment plant. The wastewater facility has been expanded with each new phase of development and handles wastewater flow from municipal buildings, as well. The projected total buildout of Mashpee Commons of the existing plans is approximately 350,000 square feet of commercial space and 100 residential units. There are 45 residential units currently built in Mashpee Commons, all of which are rental units. The next phase of development will focus on additional residential units. Approximately 75 percent of the square footage is first-floor space and 25 percent is second floor space. The developers didn’t want to build all one-story buildings. Many buildings, therefore, contained a second story for office space. Originally, these spaces were considered “loss leaders,” not profitable themselves but enhancing the value of the first floors. Over time, however, they filled up with various uses, such as doctor and dentist offices. The developers created retail space with a variety of sizes. This has allowed for different types of shops and restaurants, helping to create a sense of place. They focus on attracting approximately one-third national chains, one-third regional chains, and one-third local businesses. Because of its success, Mashpee Commons now has sufficient clout that national chains will deviate from their standards in order to fit into Mashpee Commons’ spaces. Follow the path of least resistance. The developers adapted their approaches and found workarounds that worked within existing zoning codes. Start with commercial uses, but include civic uses and a vision for expandability to residential. 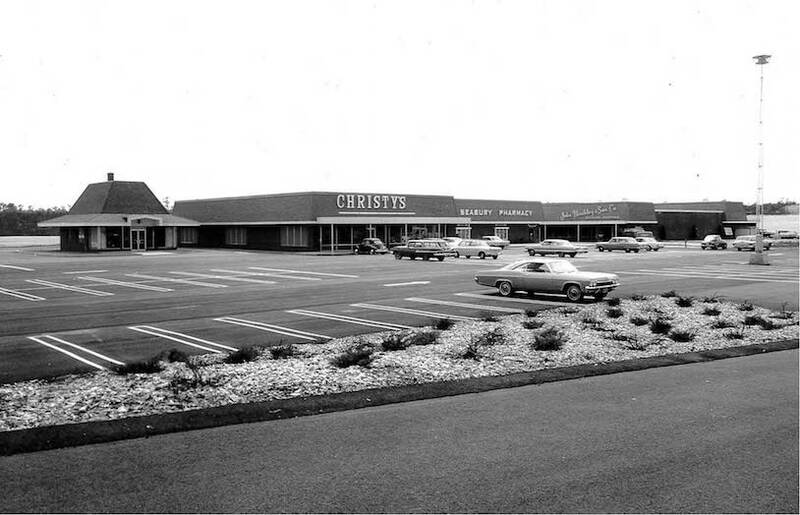 Mashpee Commons began as a retail center which included civic uses such as a post office, church, and library. As macro trends changed and demand for residential has exploded in Massachusetts, Mashpee Commons is now poised to create compact residential neighborhoods connected to the retail districts. When possible, focus on a single large landowner. As a large landowner, Chace was able to effect transformative, large-scale change in a town that had no true downtown. Be in it for the long term. Although Mashpee Commons has one owner, the long-term nature of its development has allowed for the evolutionary creation of a town center, something that can respond as market demands and community desires change. 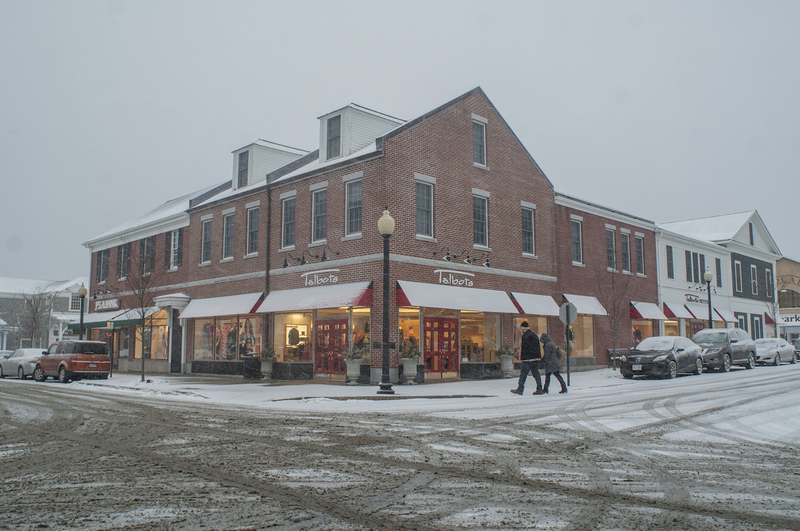 Despite being owned by a single owner, this has led to development more akin to the way the original town centers throughout New England were developed.